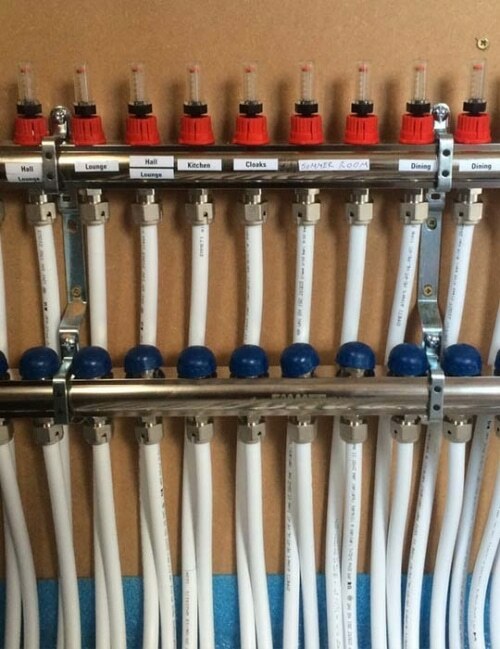 Commissioning your new underfloor heating is vital if you want to optimise the performance of your system. Following the latest industry guidelines for commissioning new systems, our team will ensure your system is filled, balanced and working correctly before your screed is poured. We are proud to offer the very best post-installation advice and assistance through our technical support partner, John Trenell, Head of The Underfloor Heating Manufacturer’s Association. Why not choose our full post-installation package which includes the commissioning of your system, moisture testing for your new floor and our professional sanding and priming services. Our experts are knowledgeable and approachable, on hand to explain anything you’re unsure of in layman’s terms before we start work or as the installation progresses. To speak to one of our team call 0800 756 1394.